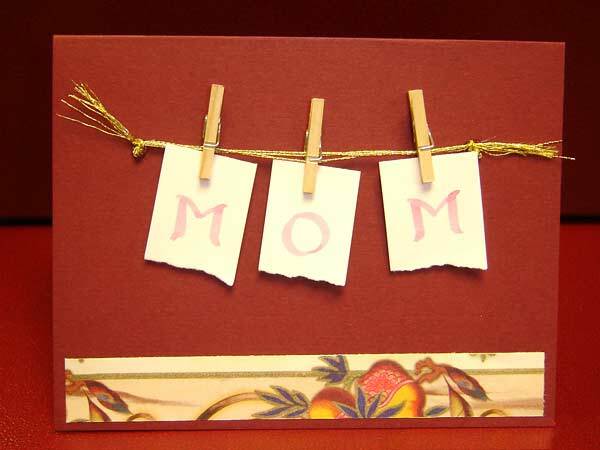 Find Mother's Day crafts, Mothers Day crafts for kids and ideas for making gifts for Mom here. Mother's Day is celebrated world wide for thanking mothers for their love and affection, which they shower on their kids all the year round. Therefore, if you are wondering as what special you can do to make Mother's Day a memorable occasion for your mom, then we have the answer. Plan something special and different for your mom on this Mother's Day. You may spice up the celebrations of your Mother's Day by making beautiful crafts for your mom. We are sure that crafts made by you will make your mom proud of you. Moms don't really need a gift, but its love and care of children that can make them feel special on Mothers Day. We have discussed about some crafts in our related section that you can use to decorate your home to make her happy and to make gifts that she will really cherish. There are crafts suitable for children of all ages and almost each one of them is very easy to make. Don't hesitate to ask for help from any adult for the crafts that require the use of needles, scissors and knives. Mother's Day crafts are cute and will certainly make her feel special on her special day. Bath and body crafts make bathing an altogether different, and much more pleasurable, experience. In this context, one of crafts that come to mind is the bath ice-cream bomb. You can easily bring a spa-like feel to your bath by adding handmade ice-cream bomb in it. As you add it to your bathtub, which if already full of warm water, it will relax you and invigorate you at the same time. Bridesmaid bouquet can be made attractive and appealing by adding unique holders for the flowers. To make it look different than usual, place the bouquets in baskets, pails, or even purses to be carried down the aisle. In case you want to make a bridesmaid bouquet on your own, rest assured that it involves simple steps and can be made quickly, in a short span of time. Canopy bed drape adds a touch of period look to your bed and will certainly bring romanticism back into our lives. You can make this canopy bed drape at home as well. Though it is not too difficult to make, you will certainly need to give your full concentration while making it. For instance, the alignment of fabric, especially if it has patterns on it, is very important. For moms who love gardening, there is nothing better than a decorative pot to adore the look of their garden. Easy to make, these decorative pots become excellent class craft projects for young children and gifts for moms. Though the beautification done on the pot is extremely attractive to look at, the message written on the pot definitely steals show. Mothers Day is a special occasion, when you can thank your mom and show your gratitude for all the love and blessings she has showered upon you, all her life. The best way to make her feel special is by presenting her with crafts prepared by your hands. One of the crafts hat can surely woo your mommy is metallic wind chimes.